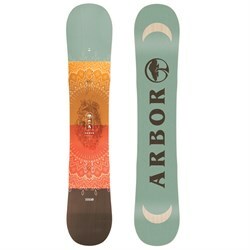 The Arbor Cadence Snowboard will tune-in to your mountain rhythm and sing with your freestylin' skills. Arbor s standard Ash Power Ply Top provide signature style, added board life, and the perfect canvas for original artwork from David Hale. 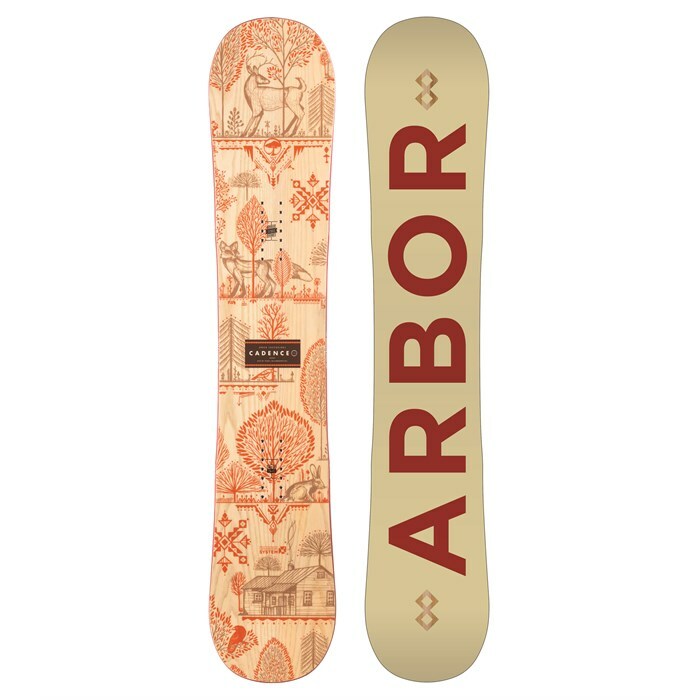 Turn effortlessly and learn new tricks even as a hall-of-famer on the Arbor Cadence Snowboard. The System Rocker  This rocker deck's design eliminates the leverage required to release and re-engage a snowboard's outside contact points. In translation, riders get a seamless turn initiation, better float in powder, and more fluid spins and slides. Soft Flex  More forgiving and easier to turn, a soft flex is good for beginners, riders with lower body weights and perfect for park riders. Soft snowboards provide a soft buttery feel at slower speeds. 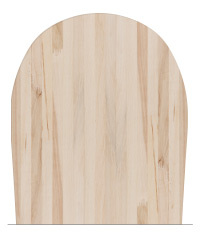 True Twin  Completely symmetrical with identical tip and tail measurements and flex pattern, this board is ideal for park riding because of its ability to move in every direction. Panhead Tips  Classic top-to-bottom freestyle performance. Grip Tech Sidecut  Grip Tech is a tri-radial sidecut design that is not “blended.” Natural shaping intersections, that in the past were eliminated, have been transformed into heel-and-toe contact points that provide a direct, more ergonomic way to grip the snow when additional control is needed. The extra contacts also form pivot zones that make turning easier and more natural. Single Malt Wood Core  Arbor's standard wood core for highly-reliable return and lasting durability. Made from 100% sustainably-grown Poplar wood. 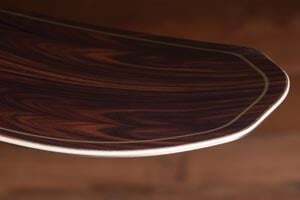 360 Rails  The sidewall fully wraps the circumference of the deck to deliver an incredibly tight tolerance for improved board life and durability. Extruded Base  A tough, user-friendly extruded base that delivers lighter-weight performance. 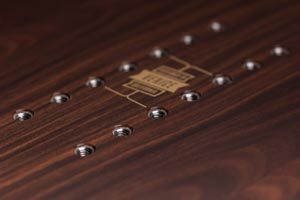 2 x 4 Insert Pattern w/ 14 Inserts  So many stance options!